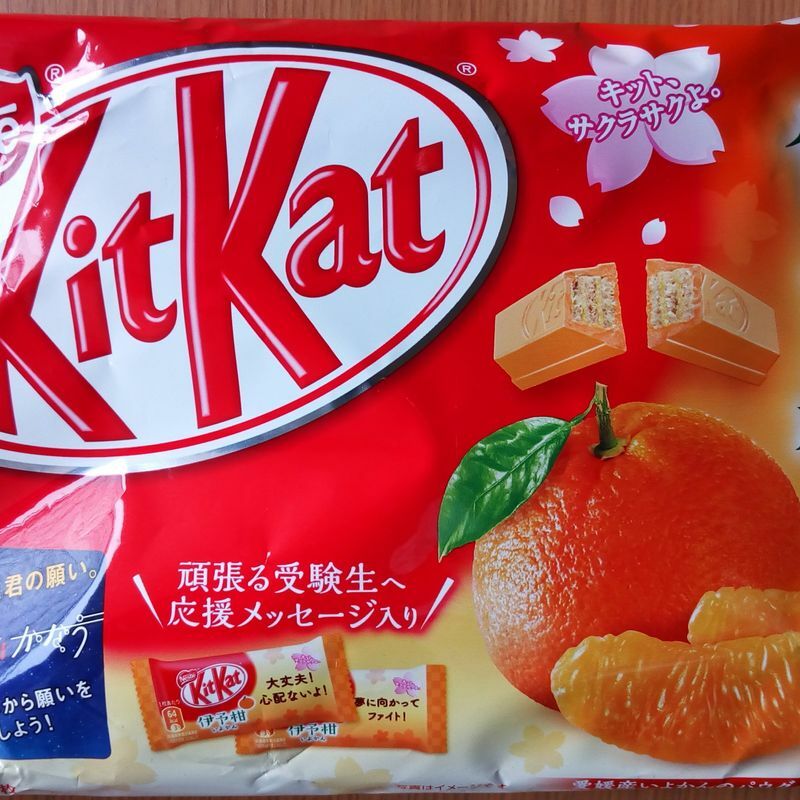 The fruit is a mikan and tangerine hybrid primarily grown in Ehime Prefecture. I found these in Fukuoka prefecture for only 154 yen at an Aeon group supermarket. I'm guessing they're left over product from the spring season. Of course the color is a light orange and there's a nice citrusy smell and flavor. It reminds me of a creamsicle with the citrus and cream combination. 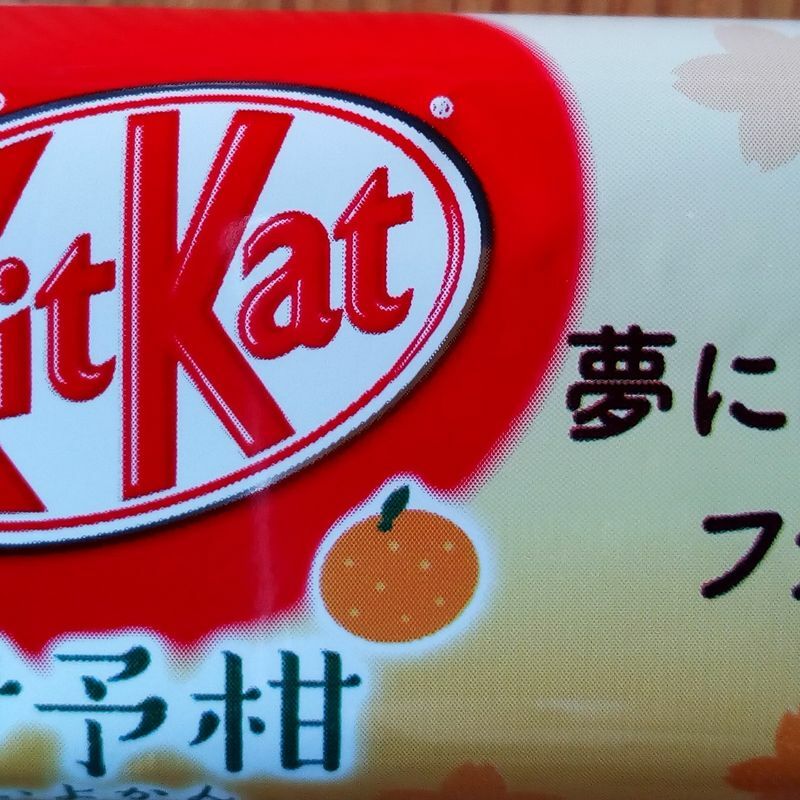 I recommend these if you're into Kit Kat with seasonal flavors, if you can find them!